The Easter season has began, but there’s still plenty of time to book a family getaway. What better way to treat the kids than with a short break away in the sun? If you’re looking for the best destinations to head to that won’t break the bank, below you’ll discover 4 best holiday destinations around Easter 2019. If you’re looking to head off on a long-haul Easter 2019 getaway, Mexico is the perfect option. With its palm-lined beaches, delicious spicy cuisine and beautiful climate, this feisty destination has so much to offer for the entire family. Easter in Mexico is a really important event and is referred to as Semana Santa. Activities and celebrations start in the week leading up to Easter and the local kids are off school for two weeks. This means, it can get a little crowded, so you will need to book tourist attractions well in advance if you do plan on spending Easter here. Check out our range of great Mexico holidays today. Want to enjoy a slightly different Easter holiday? 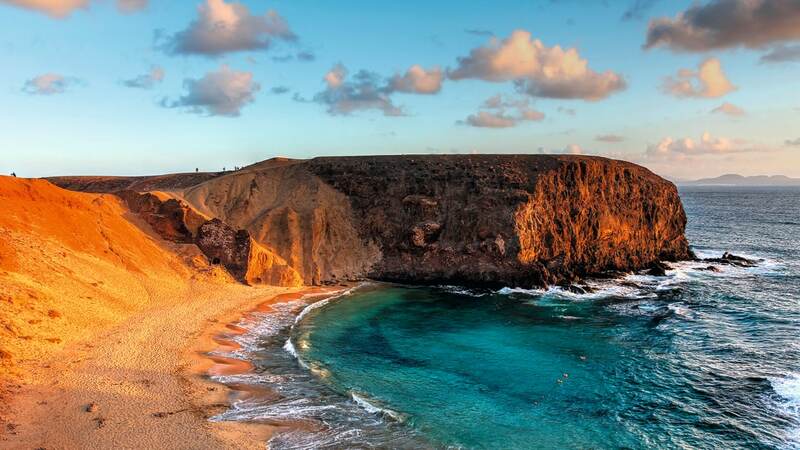 Lanzarote could be the destination for you. The unique landscape of Lanzarote can make it feel like you’re stepping out onto a totally different planet. Lanzarote offers the perfect family getaway, with charred sands and striking vistas. Take the kids to the fun-packed Ranchos Texas Park for a day full of excitement. The island offers a variety of activities throughout the year. So, for a different type of Easter 2019 getaway, why not check out our Lanzarote holidays now. With its seducing landscapes, mouth-watering cuisine and world-class art scene, Tuscany is a beautiful destination to head to with the family this Easter. It’s also one of the easiest and most affordable destinations you can visit. Easter in Italy is typically celebrated over five days, offering up a range of traditional style activities. In Tuscany, you’ll get to experience fascinating parades which depict historic crusade events, along with folkloric festivals and beautiful floral decorations within local churches. One of the best Easter events you won’t want to miss in this beautiful region, is Antica Giudeata. This famous procession brings approximately 150 people together, to recreate scenes from the passion of Jesus. Browse our Tuscany holidays today. If you don’t want to venture too far this Easter, the Costa Del Sol is a great place to consider. Featuring temperatures of around 20 degrees Celsius, the Southern part of Spain is famous for its fun Easter parades. Head to the Benalmandena Hills and you’ll get to experience the El Paso, a theatrical take on The Passion of the Christ performed by the locals. Of course, you can also choose to just kick back and relax on one of the many stunning beaches. Browse our collection of Costa Del Sol holidays now. The above are just some of our top picks for a great Easter getaway. Why not take a look at our holiday deals too to see if you can save on your last-minute getaway?